Strata is located in the popular East Village neighborhood of San Diego. The apartment complex consists of two connected towers built over one large below-grade parking structure. One tower stands at six stories tall, while the other reaches 23 stories. The below-grade parking structure extended three stories below-grade in one area, and two stories below grade in the other section. 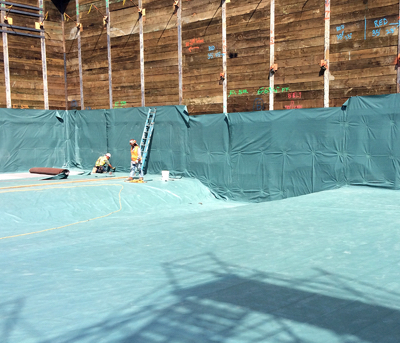 A large portion of the structure extended 12 feet into the water table. Additionally, downtown San Diego has shallow groundwater, and in the past, there were gas stations and dry cleaners located in close proximity to the project site. 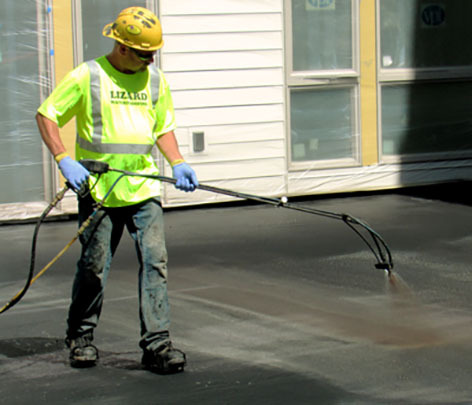 With such challenging conditions, the waterproofing consultant needed to address the waterproofing concerns, but also the potential for vapor intrusion. 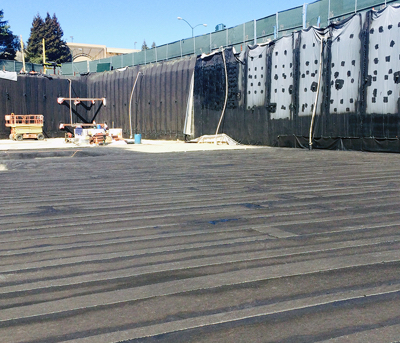 A modified E.Proformance™ Underslab system was installed underneath the entire slab and extended above the design water table. The system then transitioned to E.Proformance Shoring.